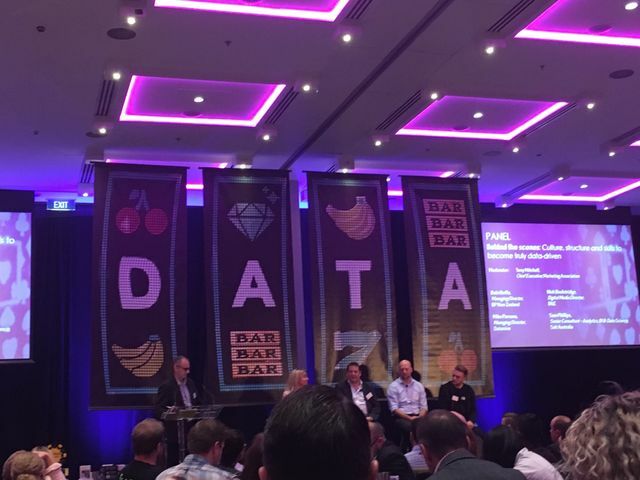 Last week I attended the Smarter Data conference this was a great opportunity to learn more about the exciting things happening in the data space within New Zealand. Our very own Sam Philips from Salt Australia was on the panel that shared the key trends within the market at the moment! It was great to be able to give our own insights into recruitment in this space. This was a great day full of examples of how brands have been using data and analytics to personalise their approach and effectively engage with customers. The more personalised your approach, the more engaged your audience will be. Air New Zealand and Datamine spoke about this and I was surprised how small changes to make email marketing more tailored can have a huge effect on open rates and click-throughs. For example, through using flight data when marketing flights in Australia they increased the open rates by 18% as they can name the city that the customer was most likely to be interested in and also the home city that they are likely to fly from. It is important to utilise multiple touch points with customers and add value through these. Christian at Datalicious spoke about the importance of measuring engagement through people based tools, in order to be able to look at combinations of channels and their effect on engagement. A presentation from Lightbox also illustrated the importance of collecting the right data to get to know your customer and what is driving their engagement. Social media is becoming increasingly influential. Alex from IBM said that 93% of buying decisions are influenced by social media and with only 37% of customers saying that they believe that their favourite brands understand them, it more important than ever to utilise social media and personalise the approach. As someone who won’t go to a new restaurant without checking reviews first, I can definitely see the impact that word of mouth and social media can have on your brand. This is maximised more than ever with GDPR coming into effect in Europe and consumers taking back control of their data and who can access it! Thank you for a great day Marketing Association, it’s exciting to see so many New Zealand businesses leading the way in becoming more Data Driven!